I’ve been enjoying reading about the various attempts to create a river crossing between Thamesmead and Beckton over the last few days. It’s a fascinating tale: from the Ringway suggestion back in the 1930s which became Ringway 2 in the 1960s, then the East London River Crossing in the 1980s and 90s, the Thames Gateway Bridge early this century and now TfL’s Gallions Reach Ferry proposal and the Royal Borough of Greenwich’s campaign for a bridge. 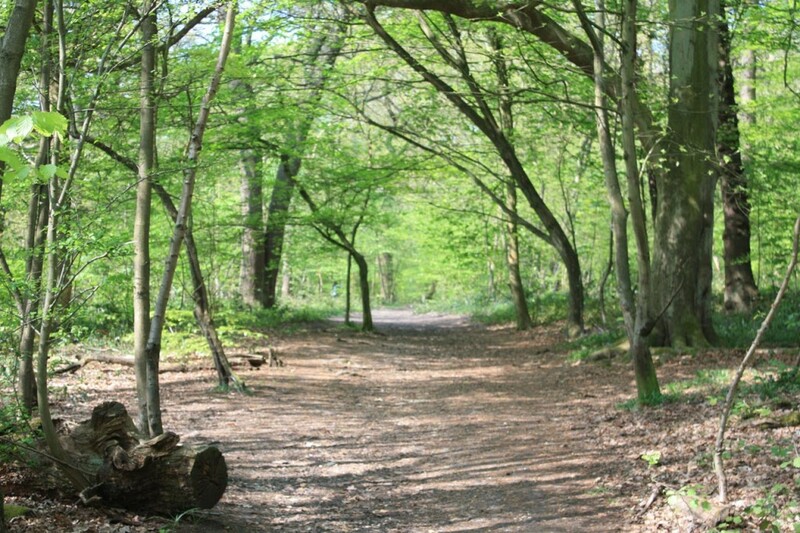 The historical background and story of People Against the River Crossing is well told in David Black’s “The Campaign to Save Oxleas Wood” which details the inquiries and court cases, both UK and European, that eventually led in 1995 to the dropping of plans to put a motorway through Oxleas Wood and Plumstead and build the East London River Crossing. 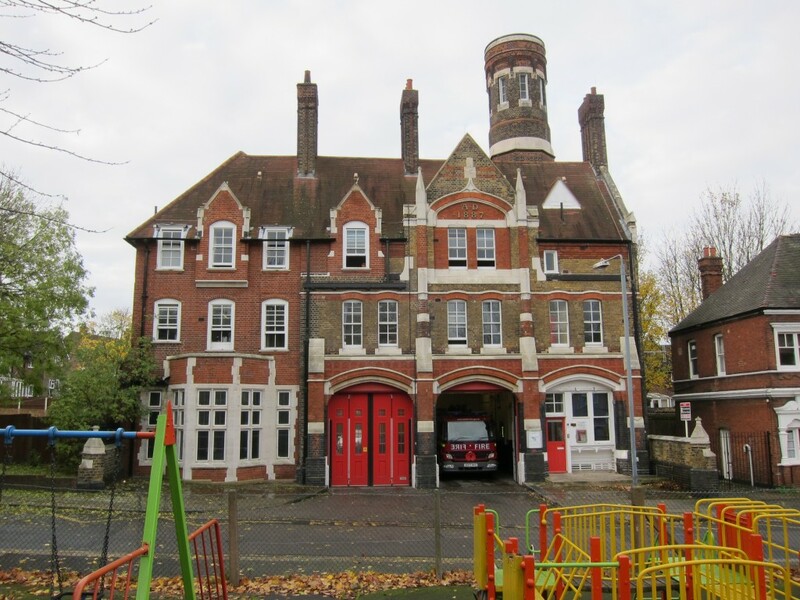 A group of local residents known as the Oxleas Nine risked financial ruin from huge legal fees to appeal to the High Court against the compulsory purchase orders needed to allow the roads and crossings to be built. 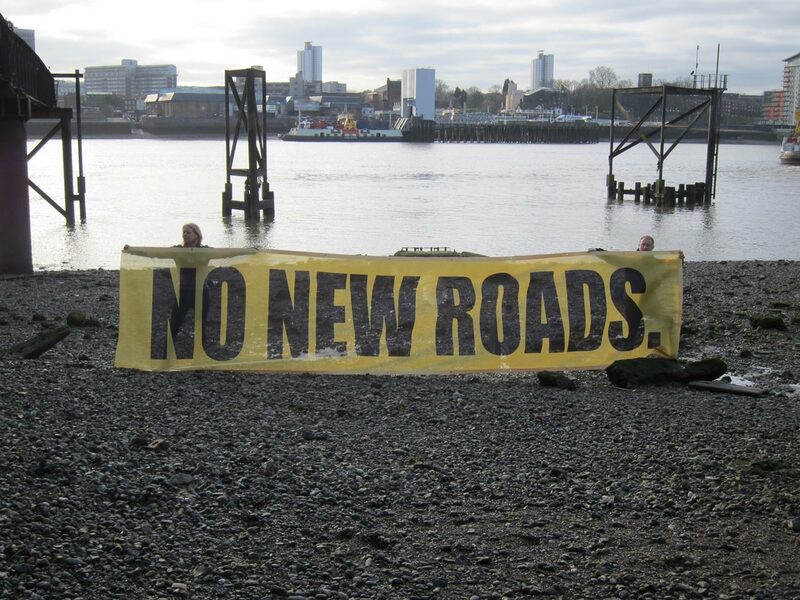 Unfortunately the documents relating to the 2005 Thames Gateway Bridge Public Enquiry are no longer available online, but those I have seen show a similar level of opposition from local residents concerned about issues such as the health effects of air pollution and the risk to Oxleas Wood from the need for improved road links to the A2. 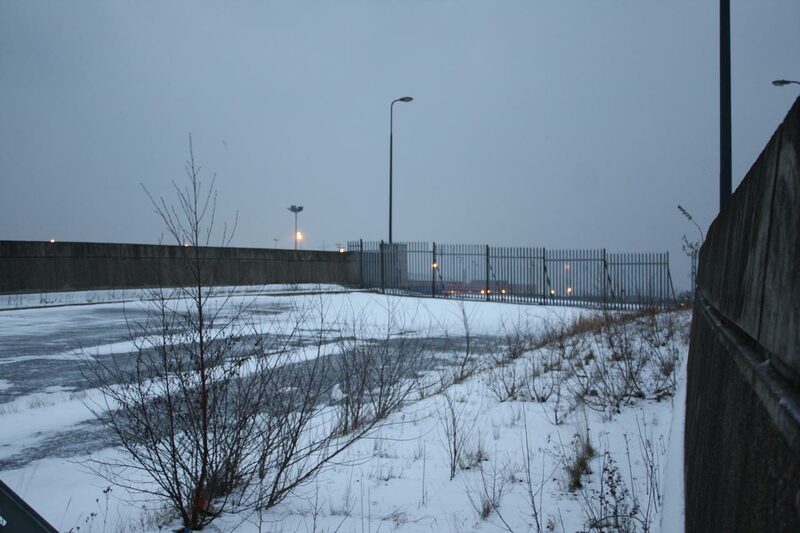 My reading about the bridge also led me to the Beckton ski jump. It can be seen circled in red on the Google Maps snippet below; it is also one of the possible routes for traffic to TfL’s proposed Gallions Reach Ferry. Its other claim to fame is that it appeared in a car chase in the TV series Bugs, which culminated in a car driving off the end of the ski jump to explode in the waste land beyond. It’s on YouTube here, starting at about 46minutes in. 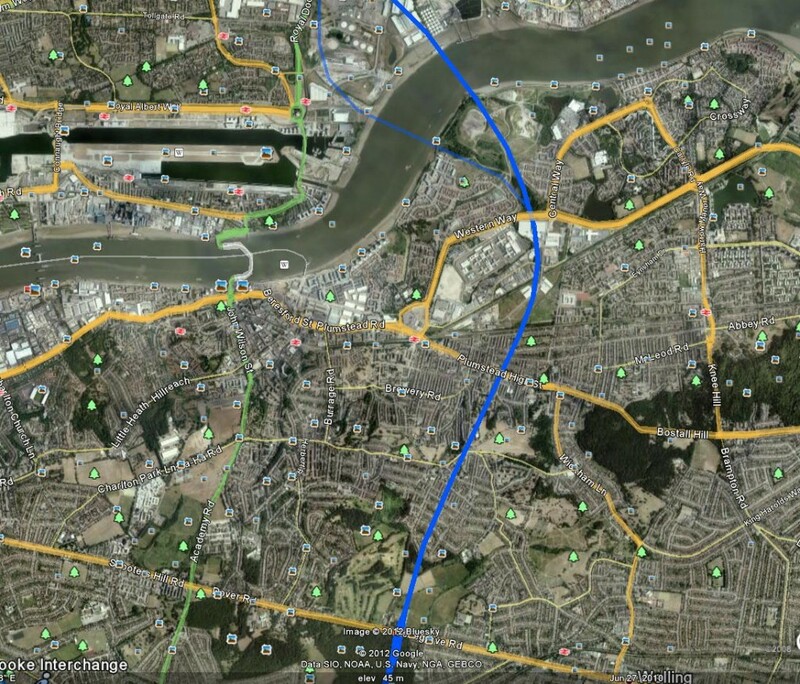 The map also shows another complication to building a bridge here – the proximity and orientation of the runway at London City Airport, which limits the possible height of the bridge. Campaigners in favour of east London river crossings make much of the disparity in the number of crossings to the west and east of Tower Bridge. 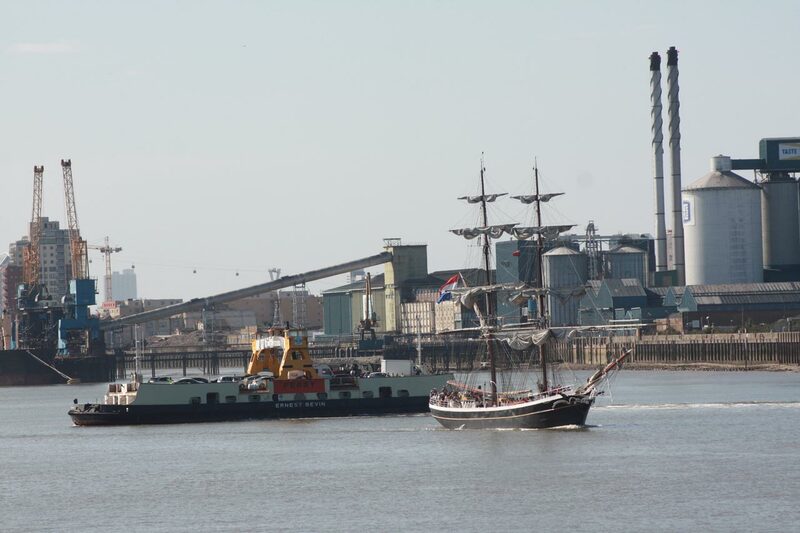 Two obvious reasons for the difference are that the Thames is wider the nearer it gets to the sea, and large ships sail up the Thames to Central London (and potentially to a cruise liner terminal in Greenwich). Consequently bridges need to be wider and higher and are more expensive to build, which seems to lead to them having to carry more traffic. 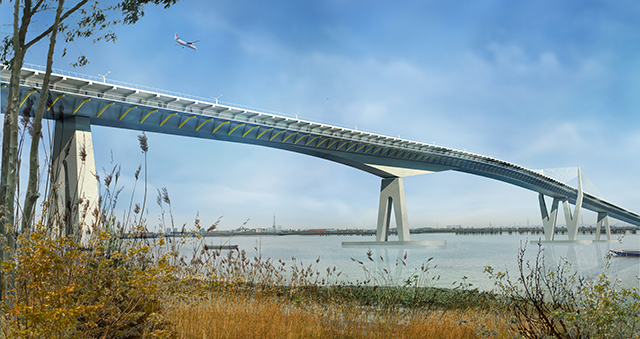 The artists impressions of the proposed Thames Gateway Bridge, below, from TfL’s brochure show the likely size of a bridge at this location. The required height of the bridge means that it has to have longer run-up roads so the overall length is much longer than just the distance across the river, making it very pedestrian unfriendly. Not to mention the high winds in the middle. 6.285. 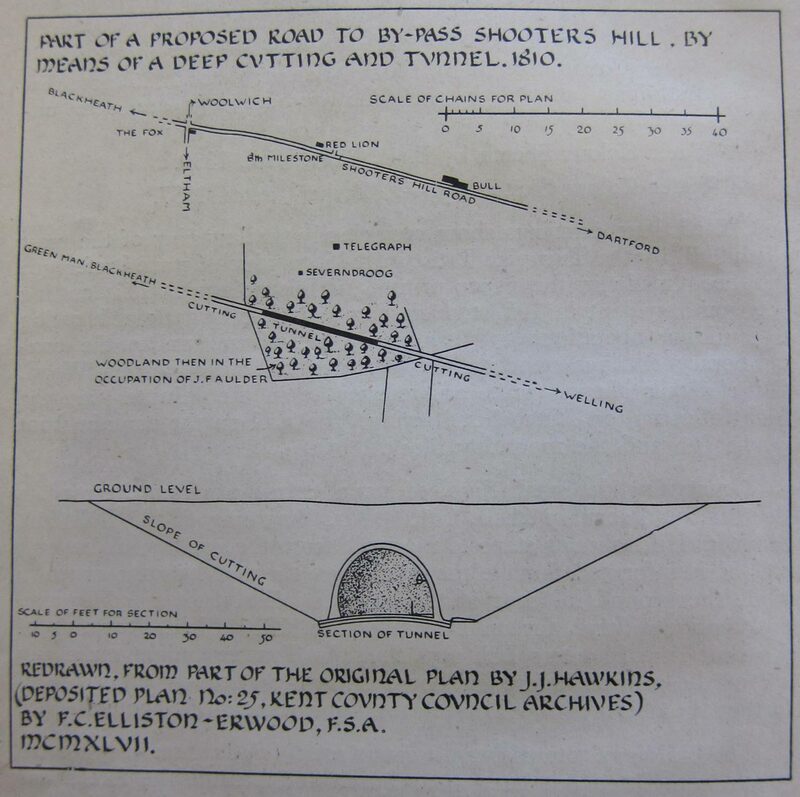 The modelling for TGB suggested that it would provide relief for the Blackwall tunnel as well as opening up new travel opportunities further to the east. 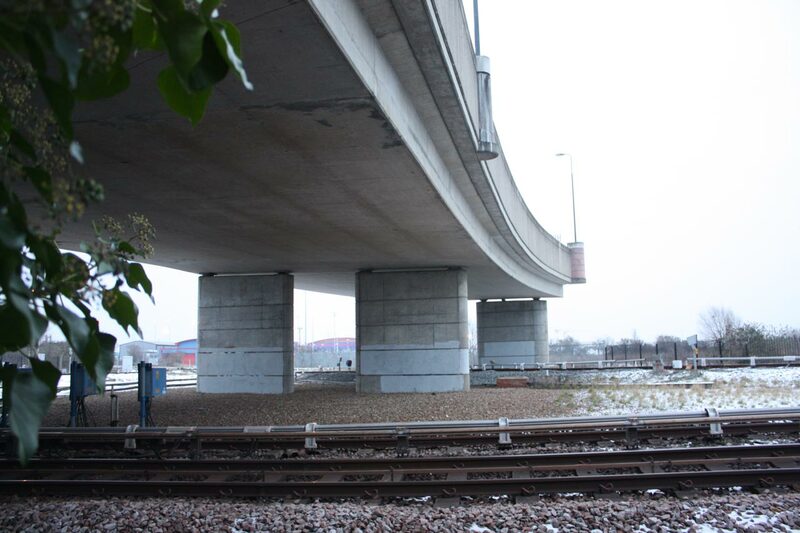 However, a key issue is that the road network on the southern side is much less developed than on the northern side, where the road would meet the grade separated A406 and A13 as well as linking (via the A406) to the M11. 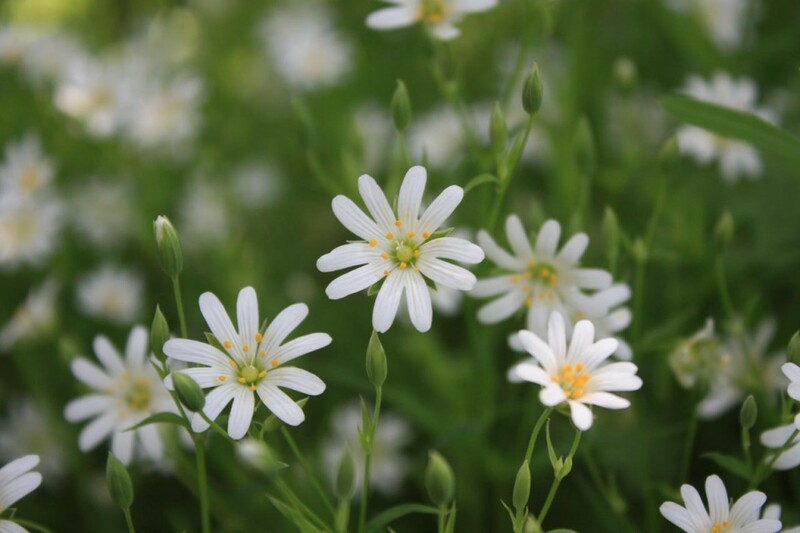 6.286. 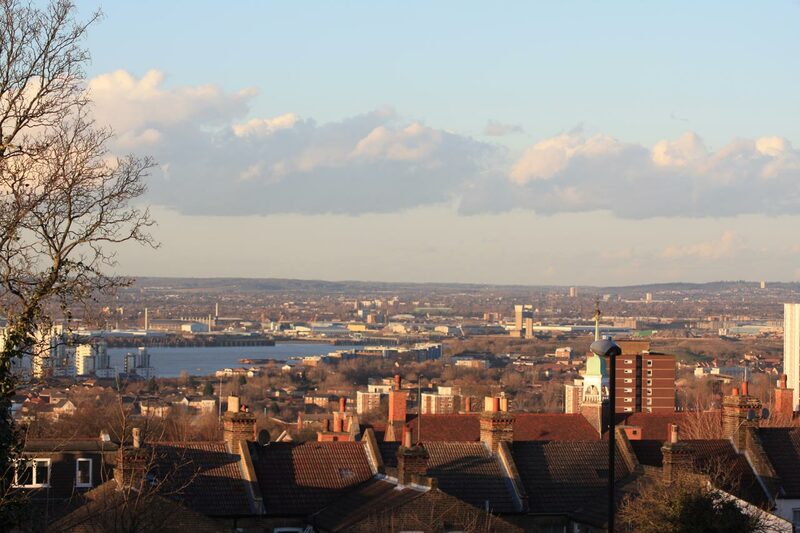 To the south, the road would meet the east-west South Thames Development Route, a useful distributor road along the southern side of the Thames, but this is lower capacity than the northern access routes, and is generally not grade separated, with congested junctions in Plumstead, Woolwich and Erith. 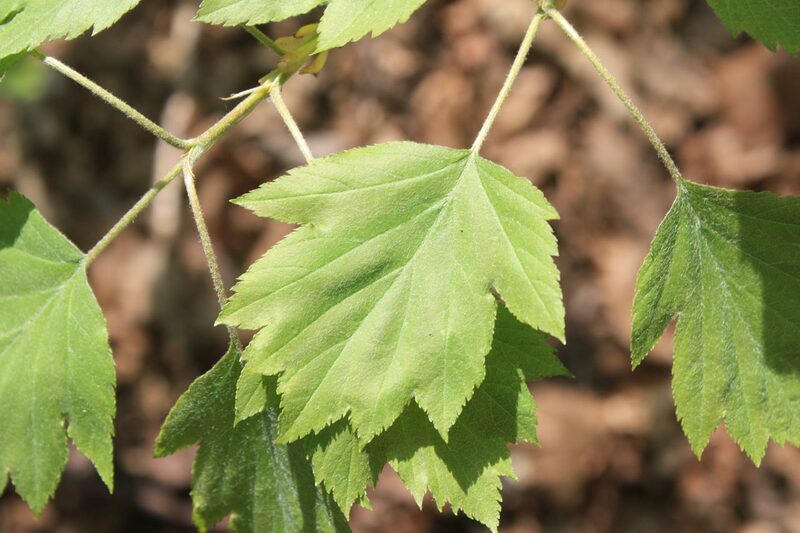 6.287. 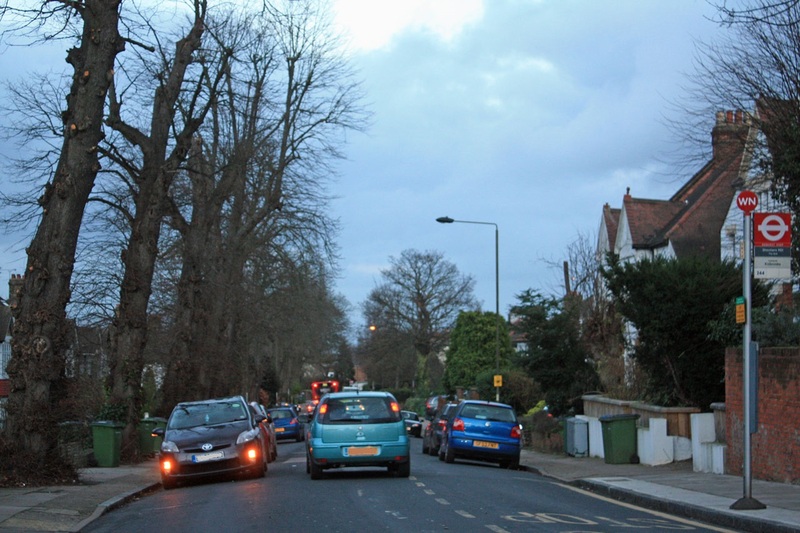 Other routes on the southern side are poorer still, with the roads south into Bexley being largely two lane single carriageway roads, fronted by suburban housing. 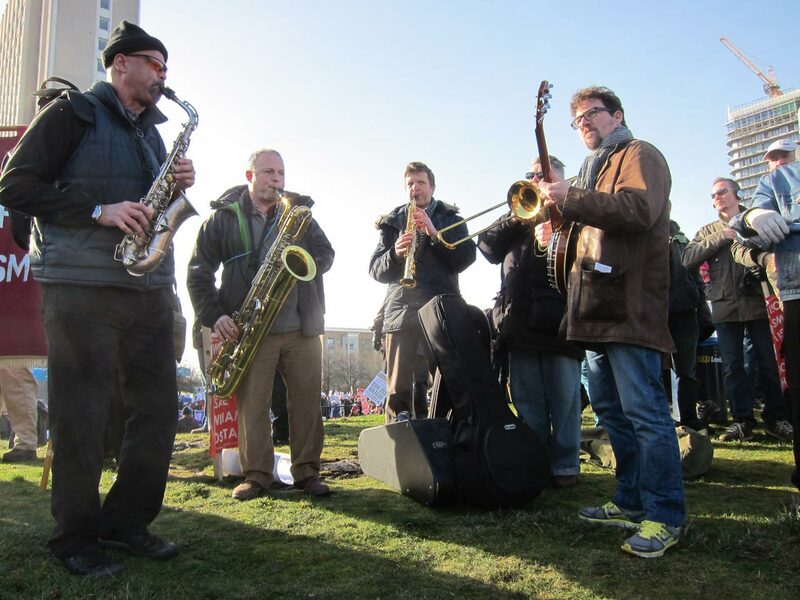 There was some strong local opposition to the scheme arising from concerns over the impacts in these areas. 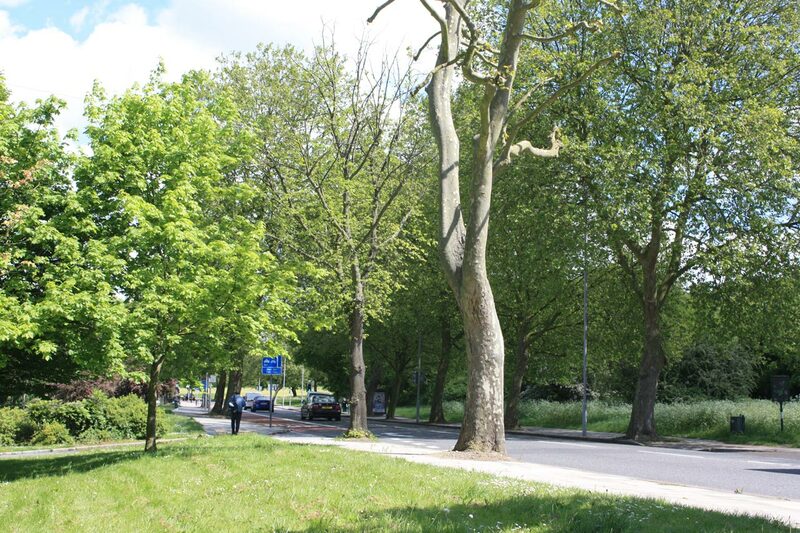 This led ultimately to the opposition of the London Borough of Bexley to the scheme. 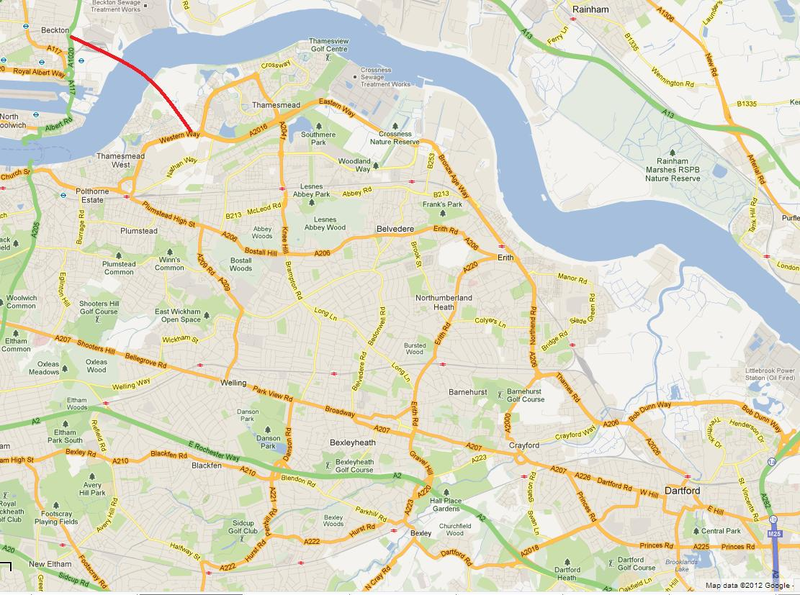 This suggests that a ferry at Gallions Reach would be a better option than a bridge because there is a natural capacity limiting effect from a ferry that will reduce the amount of traffic heading in that direction, though additional action to encourage traffic along suitable roads and away from smaller roads may be needed too. 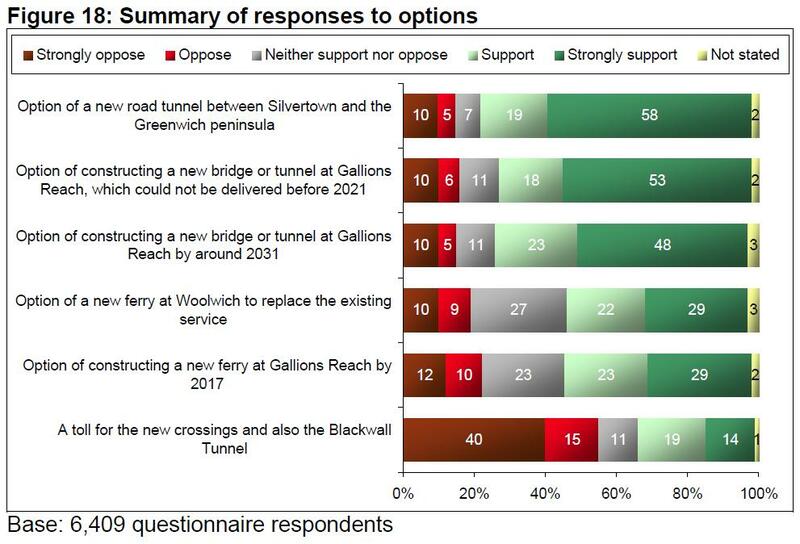 And by analogy with west London perhaps having many smaller scale crossings would be better than one or two massive congestion generating grand projects like multi-lane bridges and tunnels; an argument in favour of keeping the Woolwich Free Ferry as well as the new one. 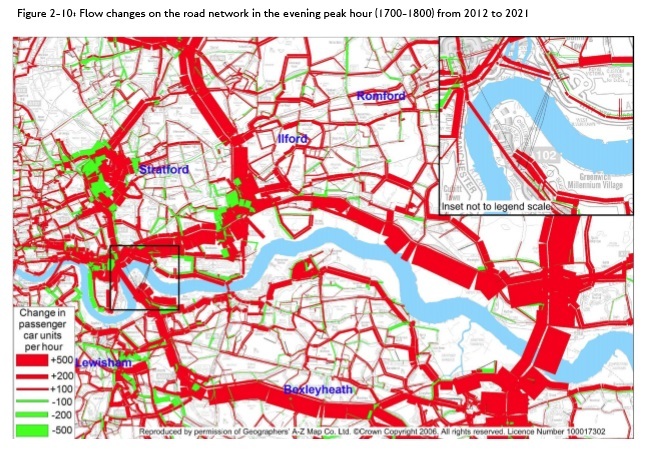 I’d be interested to see the results of traffic modelling with this scenario. Are there any other possibilities for small east London river crossings, I wonder, and what is the current state of technology for swing bridges? 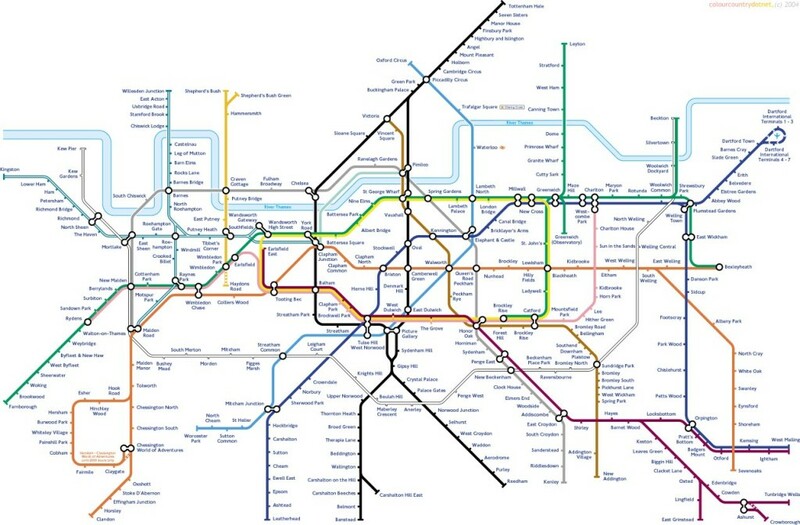 We have until 1st February to make any comments on the Transport for London proposals using an online survey with just 14 questions, or by e-mail to rivercrossings@tfl.gov.uk. There is also an online petition against the Silvertown tunnel. Monday 21 January 2013, 7-9 p.m.
Monday 28 January 2013, 6.30-8.30 p.m. 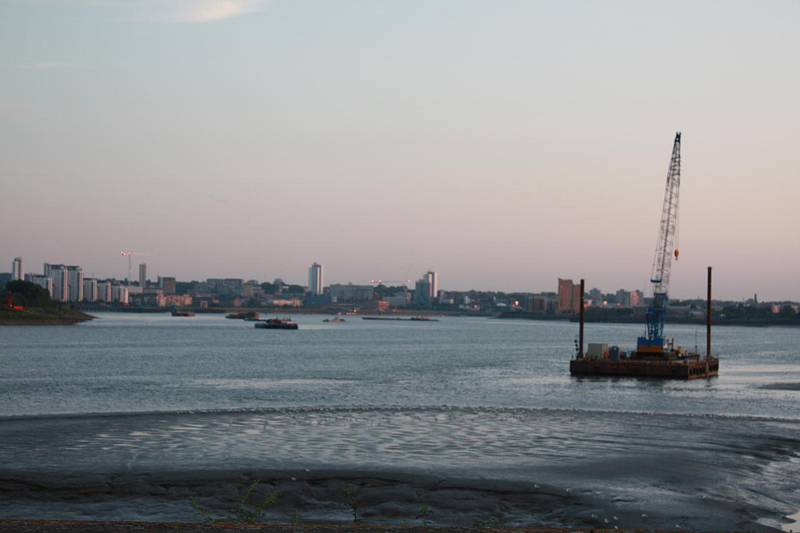 The debate about new river Thames crossings for east London has tended to focus on the proposal to construct a new Silvertown tunnel next to the Blackwall Tunnel. Objectors are concerned that increasing tunnel capacity while leaving unchanged the roads that feed the tunnels, such as the A102 Blackwall Tunnel Approach, will lead to an increase in traffic jams and hence an increase in air pollution. 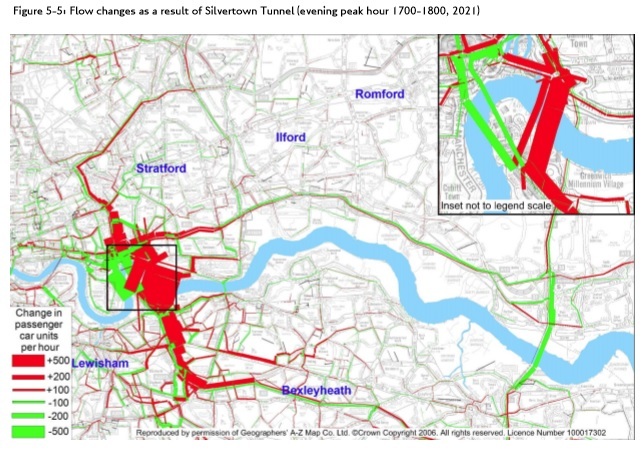 A No to Silvertown Tunnel campaign has been started and has launched a petition against the tunnel. 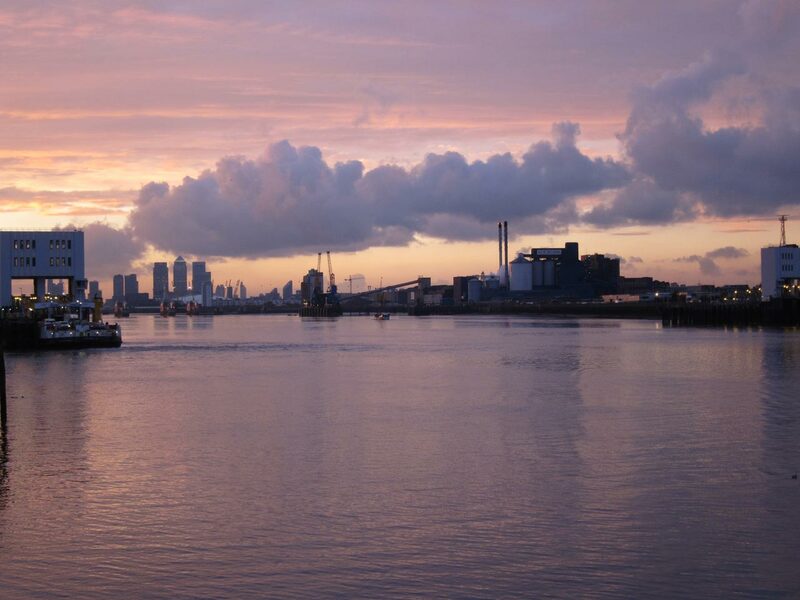 However the proposal to replace the Woolwich Free Ferry with a new bridge at Gallions Reach could have an equally harmful effect on traffic and air quality in residential roads in the east of the Royal Borough of Greenwich, and in neighbouring Bexley. 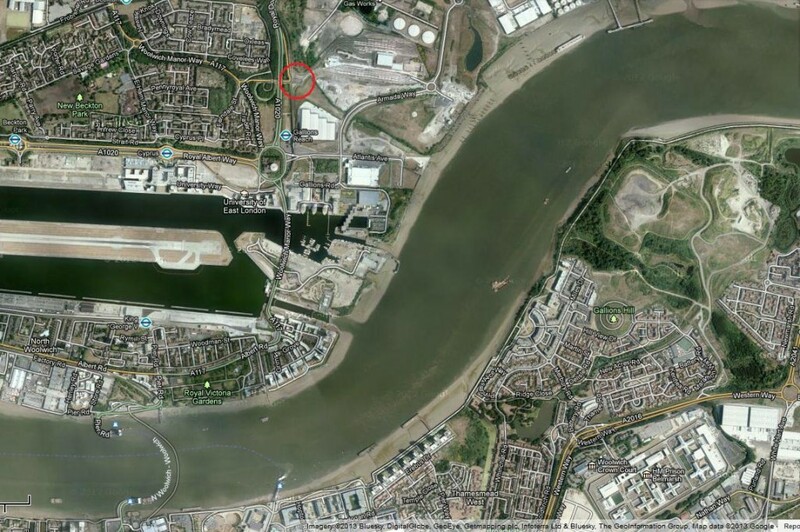 The Google Maps snippet below shows roughly where the proposed Gallions Reach crossing would be sited (there’s an official picture in a previous post). How will traffic get to this new crossing? 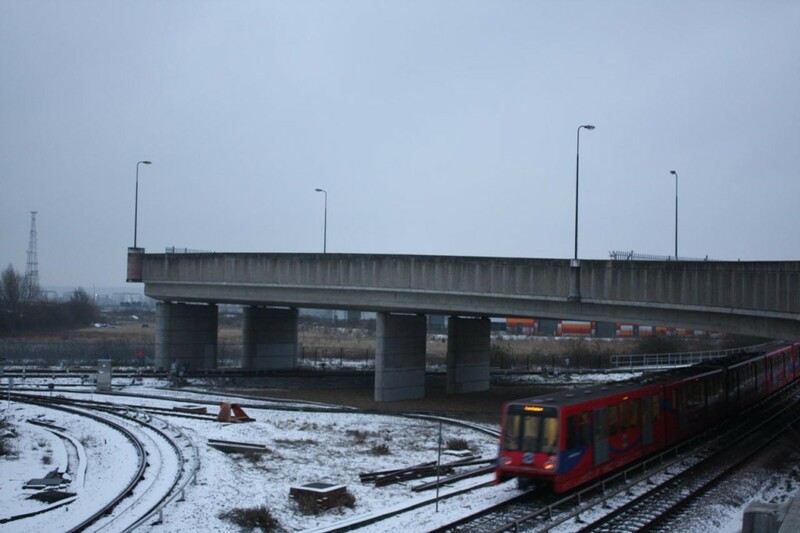 The consultation documents express the view that “any new tunnel or bridge at Gallions Reach would be likely to be used mostly by local traffic” because most A2 traffic would head for the tunnels at Blackwall and Silvertown, but there is no backup for this view. 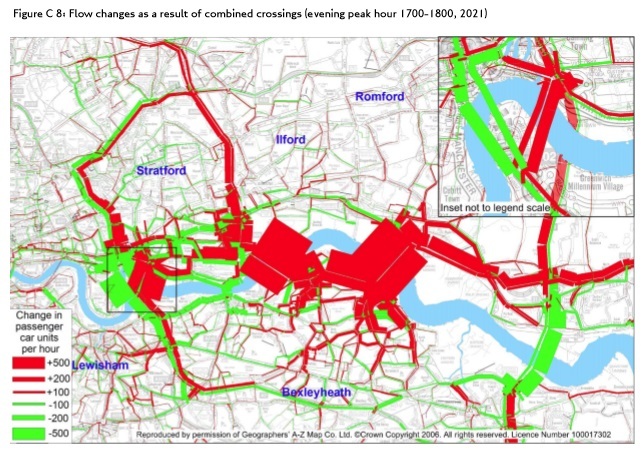 Just looking at the map it seems equally possible that A2 traffic would leave the motorway at the Bexley or Danson exits and cut across to the new crossing – through residential streets, down narrow Knee Hill or through East Wickham and Plumstead. 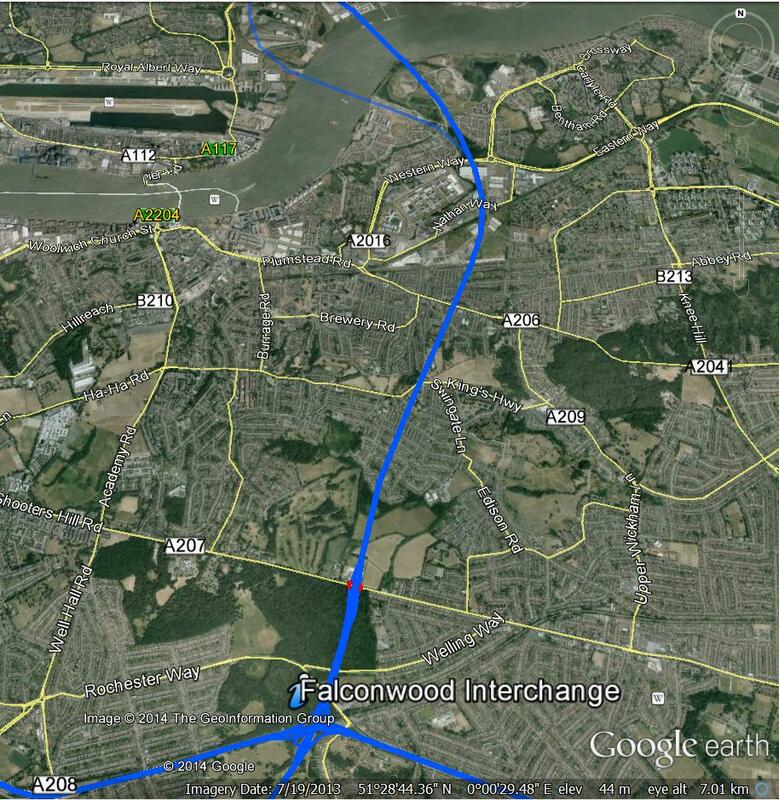 This seems especially likely if for some reason the tunnel route is closed. The Royal Borough of Greenwich Council is supporting the proposed new crossings, and prefers the option of a bridge at Gallions Reach rather than a ferry. 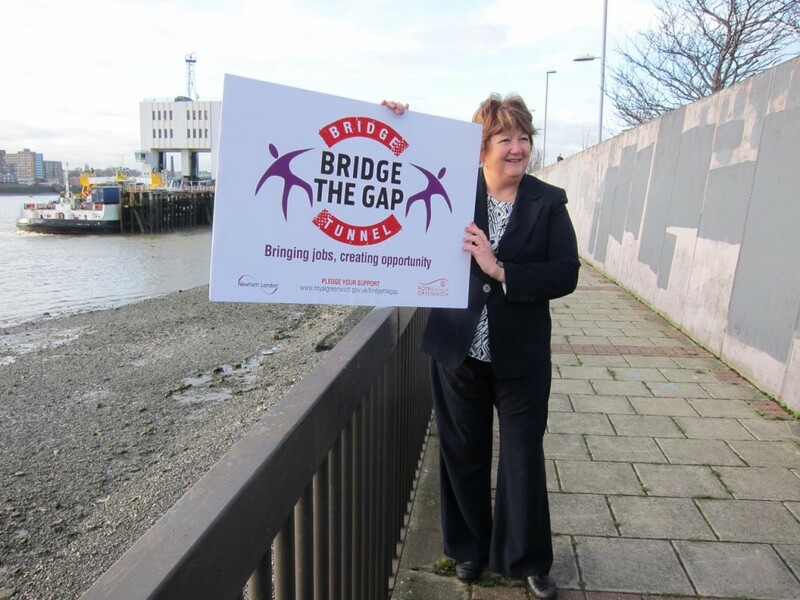 Their Bridge the Gap campaign with Newham Council was launched today, without any trace of irony, near the 124 year old Woolwich Free Ferry which would be closed if the proposals go through. 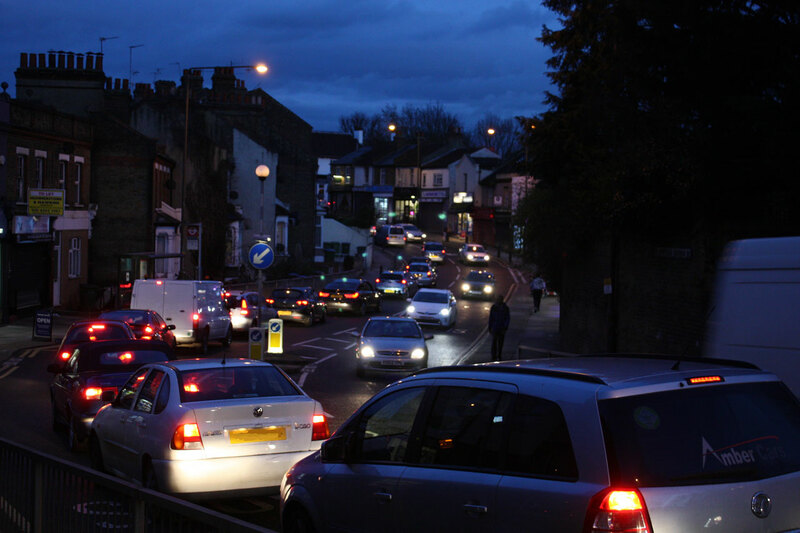 The council believe that building new river crossings is essential to promote economic growth in the borough and create jobs, and they also believe it will reduce traffic congestion and air pollution. 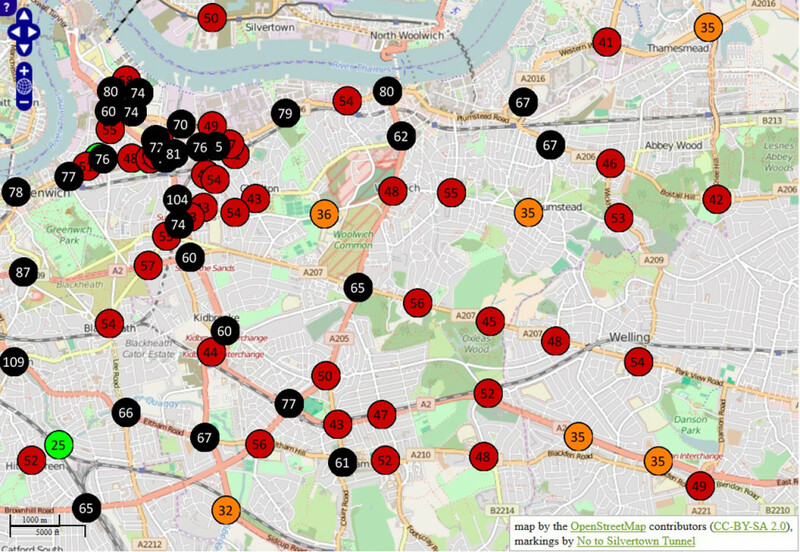 They are relying on Transport for London however for the detailed backup to the proposals such as a cost/benefit analysis and traffic modelling. 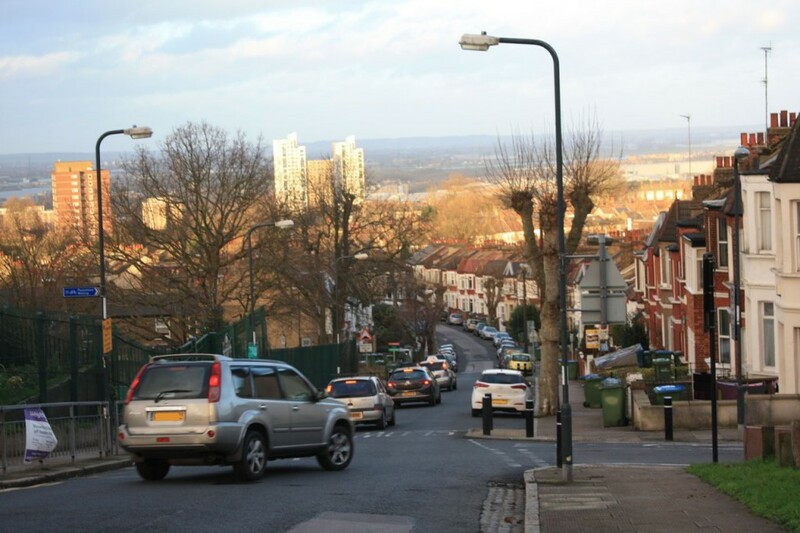 At the launch Councillor Denise Hyland expected most traffic to approach a new Gallions Reach bridge via Western Way, and said she would oppose any future threat to Oxleas Wood from demand for additional traffic capacity between the A2 and the new bridge. I’m not so sure that future councillors would necessarily have the same opinion if faced with major congestion on small roads. 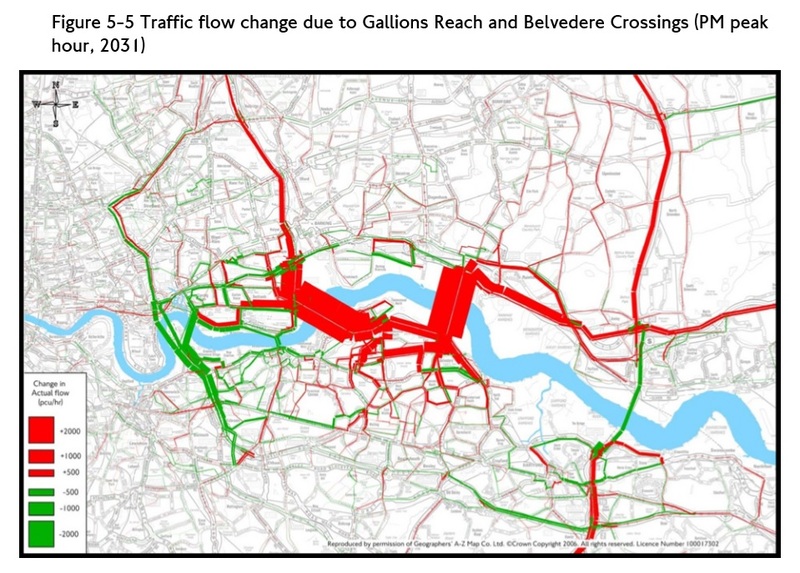 Having sat in traffic queues at both the Woolwich Free Ferry and the Blackwall Tunnel I can sympathise with drivers who have to cross the river regularly, but until some more detailed work has been done on the impact of the new crossing on traffic volumes, including the effect on minor roads, it’s not clear that the proposed new crossings will actually solve the problem and may even make it worse because new roads often lead to increased traffic volumes. 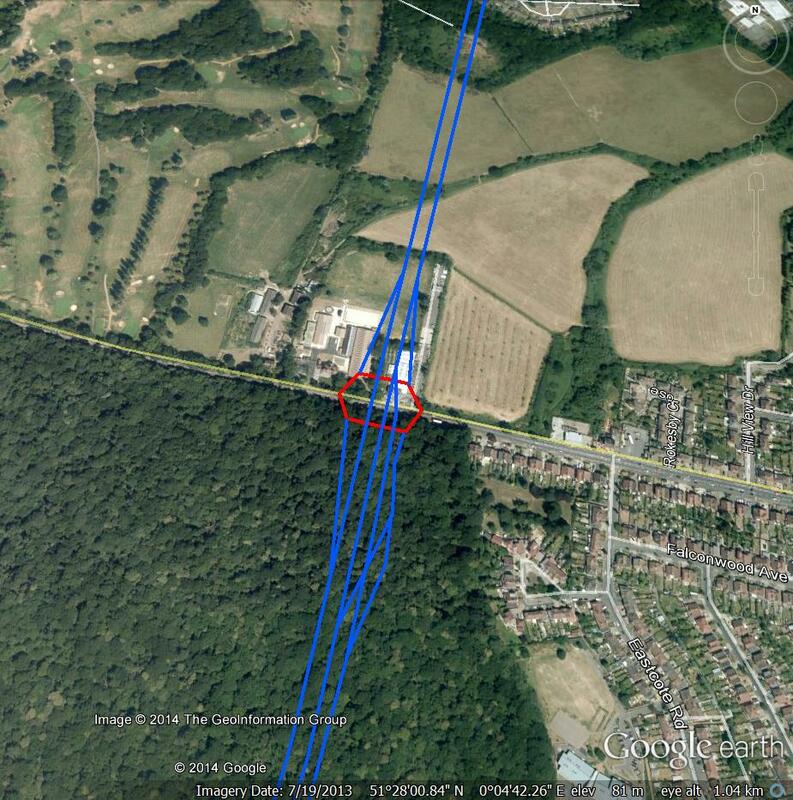 Opponents of the proposed crossings also came along to the Bridge the Gap launch, as you can see in the picture below and on the Kidbrooke Kite blog. The Transport for London consultation on the proposals continues until 1st February and we can make any comments on the proposals until then using an online survey with just 14 questions, or by e-mail to rivercrossings@tfl.gov.uk. 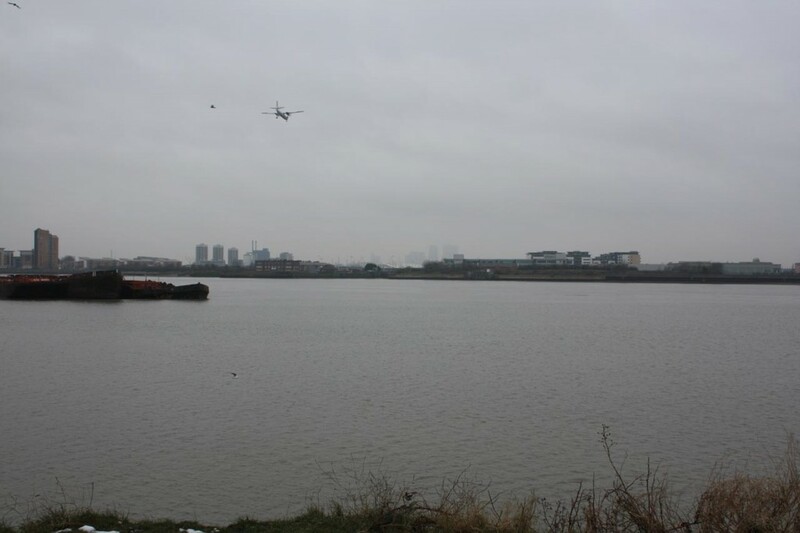 We want to get people and organisations with different viewpoints to discus the need for additional river crossings in East London. 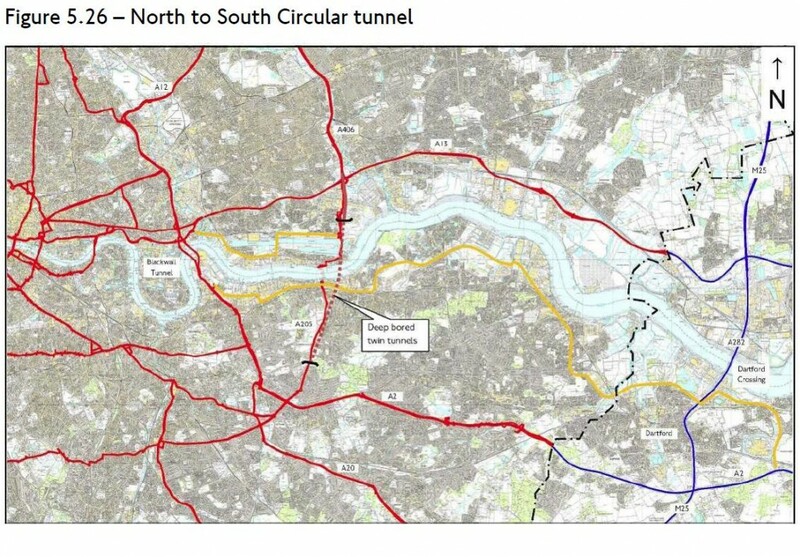 A consultation, currently running, by Transport for London (TfL) is seeking views on options including a road tunnel between Silvertown and the Greenwich peninsula. It has also posed the idea of tolling the new tunnel and Blackwall Tunnel. 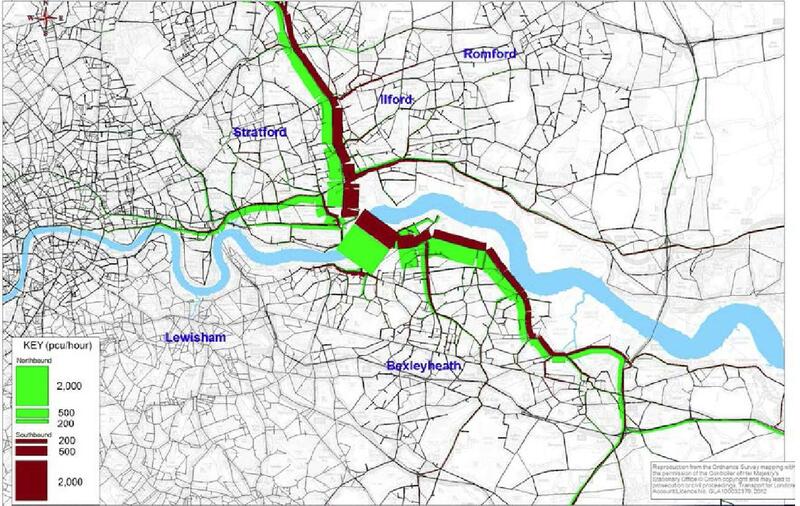 This seminar will provide an opportunity to discuss whether there is a need for new river crossings in London, and to consider what options might be needed to address any need for additional capacity. 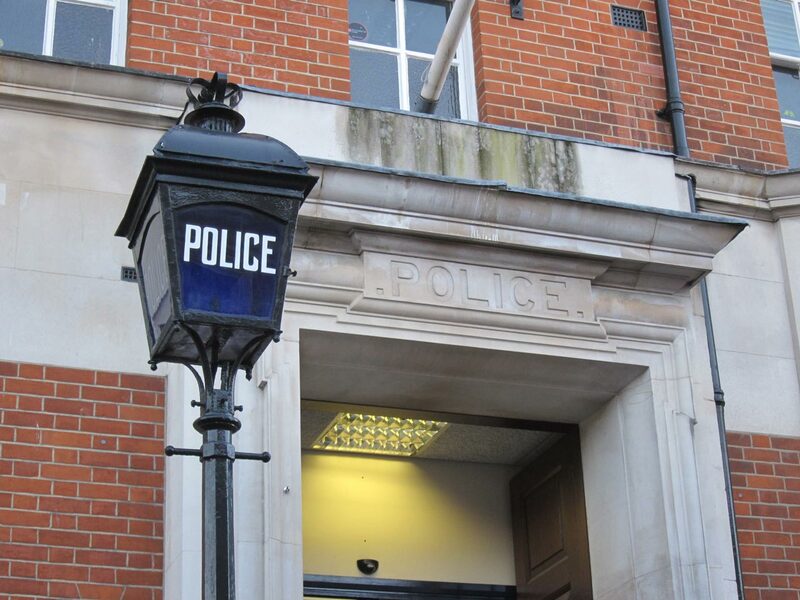 Expert guests (see below) will be invited to raise some of the key issues that need to be taken into account and there will be an opportunity for members of the public to put forward their views and opinions. 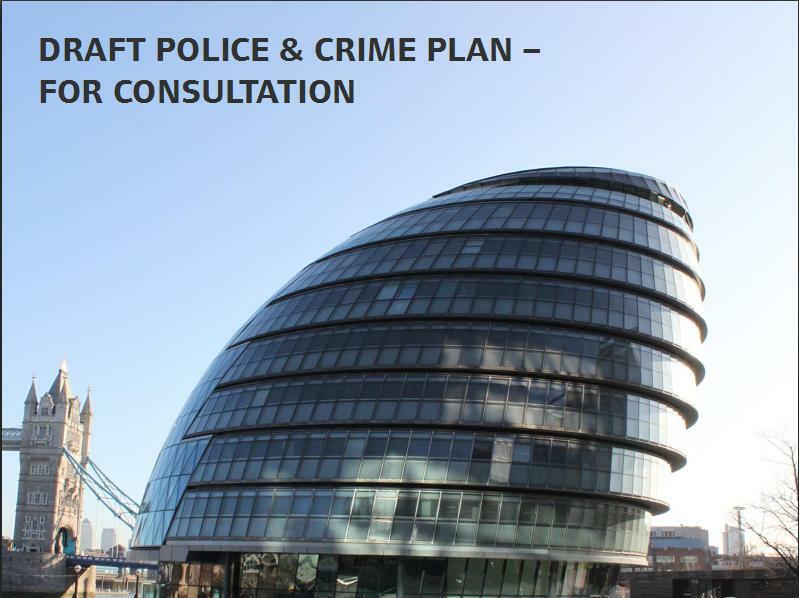 The seminar will be held from 2-4pm on Wednesday 9 January in the Chamber at City Hall (nearest Tube at London Bridge or Tower Hill). All are welcome to attend. 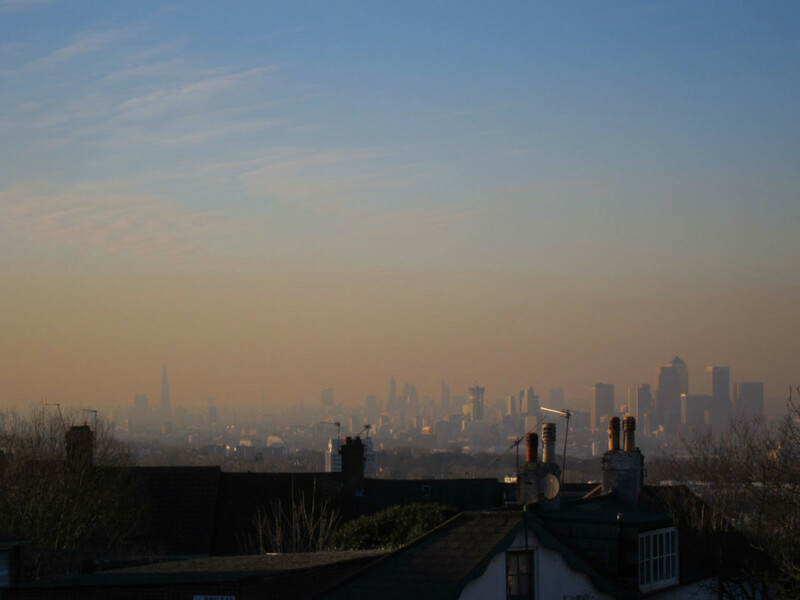 It would be useful if you are able to register your attendance: transportcommittee@london.gov.uk or 020 7983 4206.